Two University of Michigan Professors, Derek Peterson and Jason De León, were just named to the 2017 class of MacArthur Fellows. 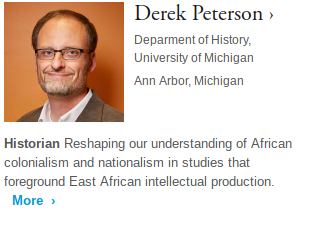 Peterson studies eastern Africa's intellectual cultures in the History Department. 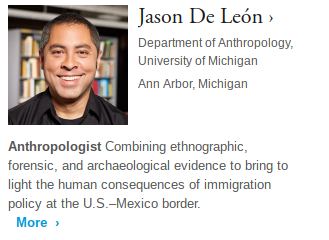 While De León directs the Undocumented Migration Project which is a long term study of clandestine border crossings combing techniques from sociology, anthropology, and forensic science.